Here we are again at the end of another year... Time for another edition of The Files, although I’ve not been as motivated as usual with my annual family scribing duties. 2012 has felt a bit flat, to be perfectly honest, although nothing particularly bad has happened, for which I am, of course, totally grateful. I guess this year has marked a huge change in family dynamics, with Cait having moved up to Brisbane for uni. A 33.3% reduction in offspring around the house is at the same time remarkably easier, yet tinged with whatever it is you call a mix of sadness and nostalgia. The renovations/extensions are still underway, with no end in sight, and the ‘novelty’ of living in a renovation zone has well and truly worn off. The imperative of trying to work on the house as often as we can has impacted a lot on weekend/holiday Recreation and Adventure time. And I turned 50, and still haven’t figured out what I want to do when I grow up. Definitely time to look back on the highlights, and to count our blessings. The family photo files seemed quite empty for 2012 – till I realised that, in Schmidt Files terms our ‘year’ effectively started just after Christmas, with a couple of family canyoning trips, and our New Year’s Eve on Sydney Harbour. So yes, we did have a bit of family adventure in our year - or at least to kick it off. Our now traditional annual Blue Mountains canyoning week ended up being in late December this time. We had a huge day doing Bells Creek canyon along with a friend (and new canyoning convert) that I’ve made through 12WBT. We’ve always known that the canyoning environment can change over time, and this was definitely the case here, with a lot of fallen tree debris from storm events making progress much slower than we ever remembered from our past expeditions. Still. Awesome! As always. Marc convinced us to back up a couple of days later for Hat Hill Creek Canyon – right near Blackheath, and a canyon that most canyoners always avoided until after the Blackheath sewage treatment plant ceased discharging into it in 2008! It was significantly more ‘verdant’ than your typical canyon, but still really pretty, and technically a lot easier than Bells. The bonus with both canyons was that we didn’t come across any other people. My kind of day out! From one extreme to the other – our other holiday adventure that week was our “once in a lifetime” New Year’s Eve treat – Goat Island, on Sydney Harbour, for the fireworks. Cait had opted to spend NYE with friends, so it was down to the four of us, with (far too much) picnic dinner in our backpacks, many other people, and a fair bit of sitting around waiting (for the train, for the ferry, for the few minutes of fireworks!) but it was certainly an experience to be right out there and amongst it. And being on the island was much more civilised than having to mix it with all the 'plebs' around the harbour foreshores! Back home, and before we knew it, Cait had packed her car and was off to Brisbane to settle in before uni started. She would have barely made it out of Sandy Beach before Zoe had moved into her room. The grand plan might have been for the extensions (and thus a fourth bedroom) to have been completed before this – but twelve months down the track it’s still not a happening thing. A major plus is that Alison and Zoe seem to get on a whole lot better since not having to share a room. So our renovations feel like a never-ending story and I wonder sometimes if we will ever finish them. Owner building (again) at times feels like utter madness, but it’s the only affordable way for us to do it, and the only way that Marc will feel good about the quality control (which I certainly appreciate and understand.) The price we pay is our time, and the frustrations of fitting building time in around the girls’ netball, and, Marc’s work - and commitments or choices that either of us make that impact on potential building time. When I pull up the photos from the beginning of the year I can actually appreciate the progress we have made, and all the compliments from neighbours and various friends and locals definitely help. At times, though, I wonder if Zoe will have finished school and moved away before we get it all done. I also wonder why it took so many years for us to get happening with it, but c'est la vie ... or our life, at any rate. Part of the scaffolding came down during February, so we could get access to the lower walls, put the window hoods on, and get it painted. It all came down at the beginning of March, and other than the painting, we haven't sub-contracted anything out since. (Plumber and electrician will have to be called in again soon though.) We put the roof on the garage at Easter, and have been making gradual progress since then. Some of it is fiddly and not mega-noticeable, but it has to be done all the same. Progress seemed to slow down more and more towards the end of the year, with Marc unable to take time off work, except for when he went away for touch tournaments. We're now, at least, able to park in the garage, which feels rather proper, even if it doesn't have a door yet. The extension (new bedroom, bathroom and loo) is all but ready to be lined, but we have some electrical and plumbing changes that need doing before that. A few weeks ago our old HWS checked out early (and all over the floor of the cupboard under the stairs! ), so we had to get the new solar HWS tank installed, but temporarily still hooked up to the mains power, as we are yet to re-roof the section that the panels are to go on. That certainly wasn't on the immediate to-do list. Marc had a two week work trip to China during December, so that really kyboshed any further progress before Christmas. At least he now has a few weeks off, so we hope to be able to alternate building days with some R & R/fun days, and feel like we've made a bit more progress before work and everyday life gets in the way again. Caitlin has been enjoying her year at uni - (at QUT doing IT) but the work/study/social life/sleep/exercise balance looks like it will need some rejigging. She's playing netball one night a week, at least, but I think she is going to have to insist on less shifts at work (Grill'd), so she can concentrate on uni, as well her health. Once she left home we were privileged to be added to her facebook friends list - so that's pretty much how we keep up with what she is doing - socially at any rate. First semester she lived in Southbank Student Apartments, but in July she moved into a flat with friends. She also played rep netball, again, for Woopi 17s, and they achieved a great result at the State Championships in Penrith in June, coming 3rd (which was actually an equal second) in Div 2 - a stunning achievement for a little association, albeit with recruits (and indeed rejects!) 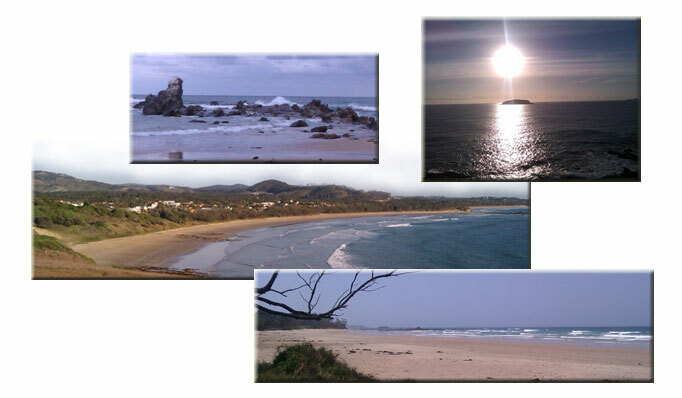 from Coffs. She also made the North Coast Academy of Sport squad again, after travelling down with the team to play at the Academy Games (at Wollongong) in the April school holidays - and so went again to the NIB games at Maitland in July. She's moving to Coffs N.A. to play rep next year with the u/19s, feeling that with only one division in that age group at State, it makes sense to concentrate the strongest players from across our region in the one team. Some at Woopi aren't too impressed about that, but sometimes you have to look after your own interests. One of her favourite netball experiences this year would actually have to be the Woopi social mixed comp, with a team of school friends - most of whom hadn't played netball before. 'Wolf Pack' wound up second on the ladder, but took out the 'Vampires' in the 1 vs 2 play off. Despite this being called the 'Twilight' comp, no significance should be read into any of that at all! She achieved a family first, being the first of our offspring to require plaster- albeit just a back slab. You'd think that with all the netball she plays it would be courtesy of some sensational on-court injury, but, no. In the Sep/Oct school holidays she was apparently practising some circus skills in the lounge room, trying (and failing) to stand/balance on my foam roller. What initally seemed like a mere wrist sprain was eventually, sort of, diagnosed and treated as a 'probable' fine fracture of the radius. It was an ignominious sidelining for one NCAS training session, but, more distressingly for her, for several weeks of Twilight comp, and her Coffs Wednesday night Div 1 team. Last summer she joined Woopi SLSC and did her bronze medallion - but she has decided to give it a miss this summer. Between netball and getting herself organised with schoolwork, something had to give. No sympathy here for 'middle child' syndrome. Courtesy of big sister living in Brisbane she travelled up by bus in February to go to a Soundwave concert. There are definite advantages to not being the trail-blazing sibling. Her grand plan is to go to Brisbane for uni as well... so we'll just have to see how that all pans out. She is doing Textiles for the HSC, and is starting to use the skills she's learning to make or alter clothes to wear. She likes dyeing her hair - it's a significant shade of red/burgundy at the moment - but otherwise doesn't like to stand out from the crowd. It's a bit daunting to think that she'll turn 18 half-way through next year. The driving lessons aren't going so well - hopefully Marc can find the time to get her over the initial issues, because I totally fail at being a driving instructor. Zoe turned 14 in October, continues to do us proud with her schoolwork, and has the drive to excel academically in each class. (Straight As this semester, to complete Yr 8, with teacher comments any parent would be chuffed to bits over.) At the same time she seems to actually enjoy learning stuff, so hopefully that will stay with her throughout the rest of her schooling. She was in the SRC this year, a role she took seriously, but didn't get in again for next year, being, as she puts it philosophically, more 'nerdy' than 'popular'. She played rep netball for Coffs this year in the 14s team, and enjoyed the challenge. The team was beset by injuries throughout the year (Zoe included, with frustrating knee problems), and so State Age was a bit of a mixed bag, but it was still a higher level of netball for her than what was possible at Woopi. She may or may not make the team again next year, but her coach called her a 'gem' because she was happy to play wherever she was put on the court, or even if she wasn't, and she always tried her best. An attitude like that seems to be a bit in short supply, so at least she always has that going for her. Her netball has improved incredibly, and she played with Alison and her peers in a Div 1 team in the Coffs Ladies comp in the second half of the year, as well as with Marc in the Woopi Twilight comp. Other than the netball, it's a bit hard to get her out of the house. She is still a bookworm, but the time spent on the computer seems to at least match the nose-in-book time. I'm still dragging her along to swim squad for fitness, and will just keep signing her up as long as there are classes that she can get to. One of the highlights of her year would have to be getting Ortho-K contact lenses - which are worn at night, reshaping the cornea to give clear vision throughout the next day (or even two). So, onto the Daddy. Work is.. still there. He did manage to wrangle quite a few days off earlier in the year while we had an imperative to get the major roofing and cladding work done (with sub-contractors) - although there were still days when he had to start them off and then head to the office. (And, then, while he wasn't supervising their every move, they made stuff-ups which have since cost us time and money to redress!). Mid-year a few staff at work left, leaving him busier than ever trying to cover the work, as well as recruiting and training new staff. He had a few domestic trips away, and then December got written off with two (freezing) weeks in Yantai, China - a rare exception (I hope) to the 'no more overseas work' pact that was made five years ago. He's still playing touch - 2-3 nights a week - and is still doing the admin for Woopi Touch. He played the mixed netball again - though he was a bit sad that the previous year's family team effort was reduced to just the two of them (him and Zoe.) He played his usual 'State of Origin' NSW vs QLD touch tournament, and the TransTasman cup in October (in Brisbane this year.) He then found the time to go with a mixed team to the PanPac Masters in November. They won. Me... I'm still doing 'stuff', but still nothing that generates any income, which is becoming quite depressing. I was treasurer again with Woopi Netball, still do the website and social media, and I helped run the two Tuesday night comps this year (the Senior Ladies comp, and then the Mixed Twilight comp), deciding that persisting with a netball playing debut at 49-50 years was just asking for some sort of major injury trouble. I'm backing up for a third (and hopefully final) term as Treasurer in 2013 (with the proviso that I don't have to be at the courts on Saturdays), and will help run the Tuesday night comps again. I've been looking for work, but my options are narrowed significantly while I still need to play chauffeur to the stars - I mean netballers. (One of the downsides of living this far out of town.) Marc's work means he can't provide any sort of regular/reliable contribution to the taxi duties, so for another few years I'm kind of stuck looking for part-time/casual that doesn't impact on family time. They all benefit, at least, from the expectation that there will always be a decent dinner sorted and waiting (even if I feel like screaming any time I'm asked 'What's for dinner?) While my role in the housebuilding is definitely secondary, Marc still needs me as offsider - to lift, carry, fetch, hold, support, (take all the photos), etc, and there's really a limit to what he can achieve working by solo. So realistically it makes sense for me to be available any day he can wrangle getting off. It just doesn't do much for my state of mind and self worth. The only thing keeping me sane is that I'm more or less still on top of my fitness. I'm still doing my swim squads twice a week, and I like my Bodypump classes (to the point of getting quite stroppy if the girls' netball training/game schedules interfere.) I've now discovered a Step class before the pump class on a Wednesday, and really enjoy the mental stimulation as well as the workout. I did the 2k Jetty Swim again in March, and kept in touch with my relatively new-found running ability enough to do the Coffs 10k fun run again in September. I wasn't ready to up my distance this year, so I settled for improving my time on last year, and finishing NOT in excruciating pain. I achieved both - but my official time of 60 mins 1 second was a little bit of a heartbreaker - until I rationalised that the timing wasn't exactly precise anyway, and what the hell, I'm 50 and I can run 10k- in an hour! - which is something I couldn't do 10, 20 or even 30 years ago. I got back to giving blood the other week - with Alison, who had been previously with her friend - and they asked me if I'd consider giving plasma. I did that last week, and it all went ok, so that's something for good that I can do on a regular basis- every few weeks apparently. The one thing that has suffered this year from the renovations, and other choices, has been our cycling. We opted to miss the Coffs Coast Cycle Challenge this year, as we couldn't afford the time away from building to train. We managed only a handful of tandem rides into town and back on Saturday mornings for the community ride breakfast. While Marc was away I started taking myself and my single bike in for the 6.30 community ride, and despite the fact that the early start tends to leave me feeling wiped out for the rest of the day, I need to try to keep them up - otherwise I will totally lose my bike fitness. Marc's mum moved from Tea Gardens to Currumbin (close to Marc's sister) during the year, to an assisted living retirement village, with a botched knee operation and subsequent infections leaving her with real mobility issues. She's doing the best she can. She does get out a little bit, thanks to community transport, to U3A classes which at least keep her stimulated mentally, but she's fairly housebound, really. For her 80th this year we gave her a Galaxy tablet - and the girls think of her as Ninja Nana (intellectually) because she's pretty damn cool for her age with the technology. Well. I think that's about it - pretty much everything I can think of from 2012 that I'm likely to want to check back about in a few years time - as well as being a long-winded summary for anyone who is remotely interested. At the very least you now know not to say "You must be nearly finished!!" in regard to the house renovations! It was good to catch up with some 'old' friends who dropped in during the year.. We trust they were able to see past the state of the house! Hopefully during 2013 the 'guest' bedroom and main bathroom will become operational, so we can invite people to stay in some semblance of comfort. We've had a really quiet Christmas. Cait arrived home for a late Christmas Eve dinner, and everyone has fallen into holiday sleep-in mode, with the girls really pushing the limits with mostly 'pm' appearances. Cait is heading back to Brisbane on the weekend (for work), but she will fly down to Sydney on the 12th to come canyoning with us. We're also heading up to QLD for a one-night trip just after New Year to see Ninja Nana - we'll get her out for the day (which requires Cait's car, as she can't get into our van). So, yes, we are canyon-bound again, this time in mid-January. I did consider that we perhaps couldn't afford the time, but Marc insists that we keep our hand (or rather legs and bodies) in while we still can, given that we're not getting any younger. Plus we do need just a bit of 'Spectacular' in our lives to spice things up a bit. Anyhoo... Here's to celebrating the best of the past year.. and to great things in 2013.